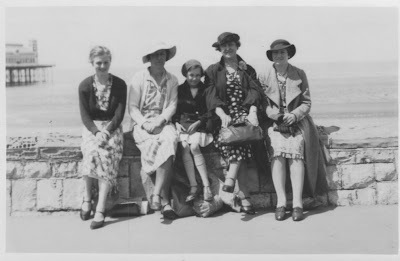 A trip to the Seaside was how we spent our summer holidays back then, and it was always sunny: Happy Days! Nowadays, we have to go abroad to find a decent amount of sun, which the British seaside resorts do not provide anymore. Photographer: Jacksons Faces Ltd., Weston-super-Mare.